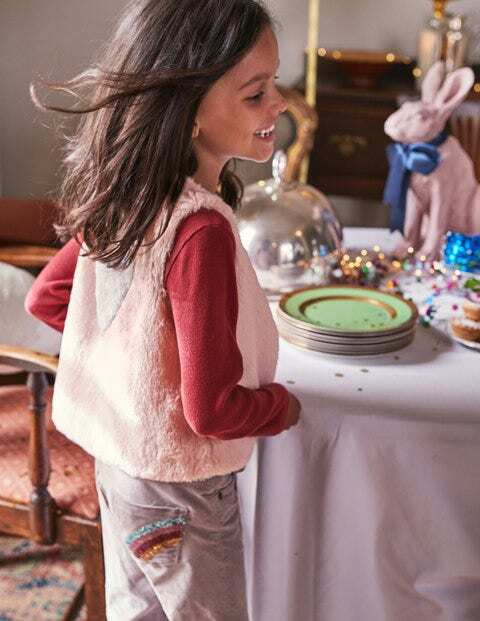 No need to shiver in your party dress – slip on this faux fur gilet when there's a chill in the air. It's luxuriously soft and huggably warm with a pretty print on the lining and a star or heart logo on the back. This fuzzy bodywarmer works just as well with casual T-shirts on a woodland walk.